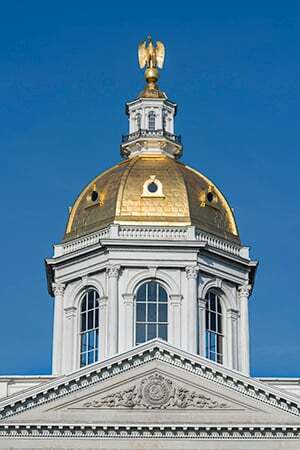 The New Hampshire House is expected to vote on the House Finance Committee’s version of the state budget and its adjoining trailer bill, which includes such things as the rollback on business tax cuts, extending the interest and dividends tax to capital gains, a mandatory paid family and medical leave insurance program and sports betting. The House will also vote on the capital budget. As for committee hearings this week, the main subjects will be energy (the fate of Regional Greenhouse Gas Initiative rebates), dictating bathroom changing table requirements, workers compensation, and regulating a company’s employment practices. At 9:45 a.m., the committee will hold a hearing on HB 568, which would require the energy strategy of the state to include consideration of the effects of climate change. At 10 a.m., the Senate Executive Departments and Administration Committee will hold a hearing on HB 628, which would require that all newly constructed large public buildings include one universal changing station in a family restroom facility those who have a physical disability. At 10:15 a.m., the committee will hear HB 520, which would require that new public accommodations install and maintain at least one diaper changing station that is accessible to all genders . At 11 a.m., the House Labor, Industrial and Rehabilitative Services Committee will hear Senate Bill 99, which would remove caps on how long a worker can collect partial or total disability. At 1 p.m., the panel will hear SB 62, allowing seasonal workers who know they have a definite date for going back to work to seek to collect unemployment benefits. At 2 p.m., the committee will hear SB 59, which would add post-traumatic stress disorder and acute stress disorder to the definition of “injury” for purposes of workers’ compensation. $10 million for the University System for renovations at UNH’s Spaulding Hall, the biological sciences building, in Durham. $32 million is promised to the University System in the next two capital budgets for renovations at Plymouth State University’s Hyde Hall and Keene State College’s Elliot Student Center. Extension of the interest and dividends tax to cover capital gains, with increases in the deductions. Establishment of sports betting via 10 retailers (if approved by the municipality) and online, run by the state Lottery Commission. Establishment of a mandated paid family and medical insurance program financed though a half percent payroll deduction. Separating keno from kindergarten funding. Keno money would go into the educational trust fund, and kindergarten would be fully funded from that. There also is an increase in school building aid. Full funding of the Division of Travel and Tourism budget. Defining, regulating and taxing the sale of e-cigarettes. Establishment of a community development fund to provide flexible loan capital for community development initiatives and for one-time capital infrastructure revitalization and strategic investments. Transfer of the job training program for economic growth from the Department of Business and Economic Affairs to the Department of Employment Security. 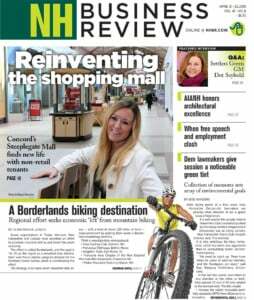 An appropriation to the NH Housing Finance Authority for affordable housing. Extension of the Coos County job creation tax credit until 2027. An appropriation to the Department of Health and Human Services for rate increases and construction of designated receiving facility beds. Requiring the Medicaid managed care program to provide dental benefits to covered persons beginning in 2021. Elimination of direct and indirect graduate medical education payments and catastrophic aid to hospitals. At 1 p.m., on HB 211, which would prevent potential employers from asking about salary history before an interview. At 1:15 p.m., HB 253, which would prevent potential employers from asking about criminal history on the application. At 1:30 p.m., HB 272, which would require written notices to temporary workers about their rights. At 1:45 p.m., HB 293, which would prohibit employers from using credit history in employment decisions. At 2 p.m., HB 406, which would require that businesses report a worker’s injury or death to the state Labor Department, which would be required to investigate.